Wes Anderson, film director known best for emergent classics like The Royal Tenenbaums and Rushmore clearly knows what he’s doing with film — but can we say the same about the use of music in his films? The Royal Tenenbaums proved definitive in capturing the feel of music in a Wes Anderson film; by now, it has become a trait of his cinematic auteur theory. The overarching style — especially as it’s exercised in the film — is most crisply defined by the Mutato Muzika Orchestra’s rendition of the Paul McCartney-penned classic, “Hey Jude.” Replete with harpsichord, the track defines the mood and feel of the film as a whole. While we may be able to attribute much of the musical consistency across Anderson films to the use of the Mutato Muzika Orchestra — the Mark Mothersbaugh-helmed production company has also made at least some appearance on Anderson’s Bottle Rocket, Rushmore, and The Life Aquatic — we can pinpoint some other important attributes of Anderson films that extend beyond Mutato Muzika. 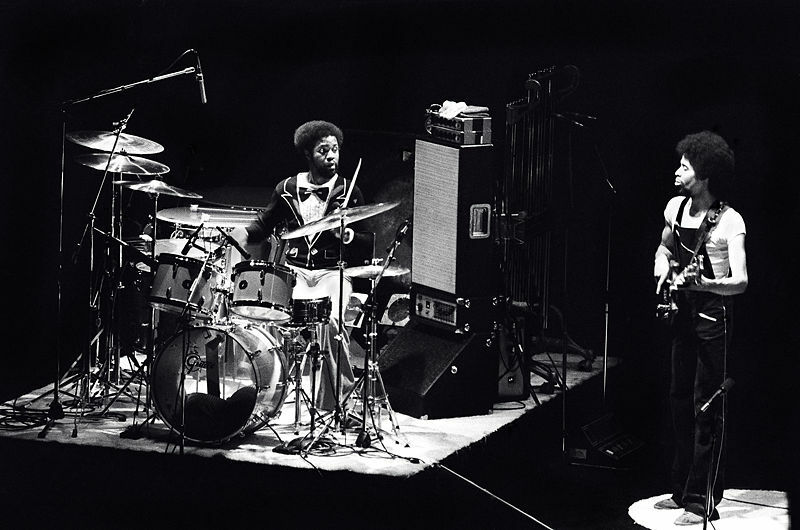 Lenny White, best known for his work on drums in fusion jazz outfit Return to Forever, is readying his first release in ten years as band leader. Anomaly, White’s effort, comes off the back of a worldwide tour in 2008 with Return to Forever and a 2009 tour with Chick Corea and Stanley Clarke — together, they make up three-quarters of the group’s 2008 tour. White’s most recent effort includes collaboration with Pink Floyd alumnus David Gilmore and former bandmate Stanley Clarke, as well as other musicians from jazz and rock music alike.